The 11 SKP Co-Op Parks are the crown jewels of the Escapees parking network, offering fantastic RV parking at an amazing value. That’s why I’m constantly surprised to learn how many of our members either aren’t aware of the co-op parks or have misconceptions about who can stay there. Read on to discover more about this under-appreciated membership benefit. What Are the SKP Co-Op Parks? Decades ago, the Escapees RV Club helped to start the co-op parks. But unlike the club-owned Rainbow Parks, the 11 SKP Co-Ops are separate, non-profit organizations, each independently managed and maintained by their residents. The park residents have membership and occupancy rights in a cooperative (or “co-op”) organization, which in turn owns the land and common facilities, like clubhouses and pools. The members support the co-op through one-time lease payments and annual maintenance and operation fees, and by volunteering their time and services. 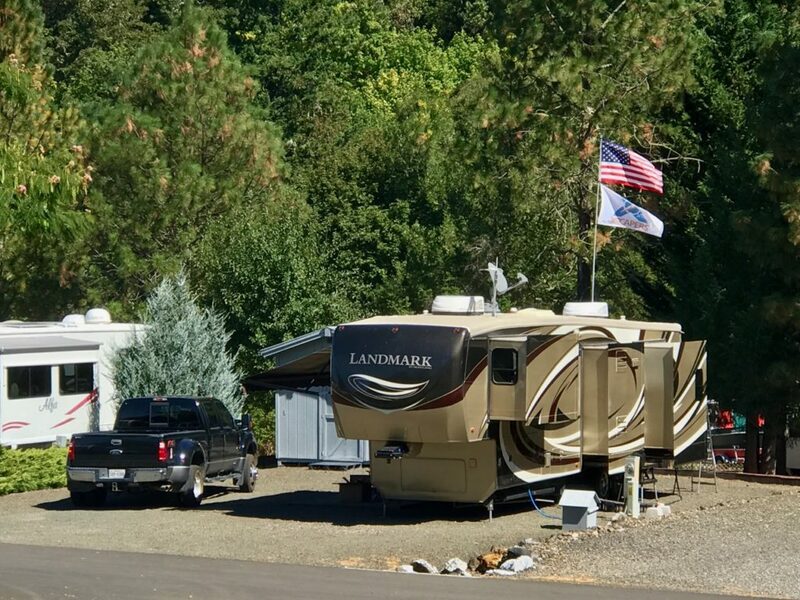 Some SKP Co-Op Park members live in their park year-round, but most of them are still active RVers who travel for a large part of the year. While they’re away, they often allow the park to rent out their site to visitors. 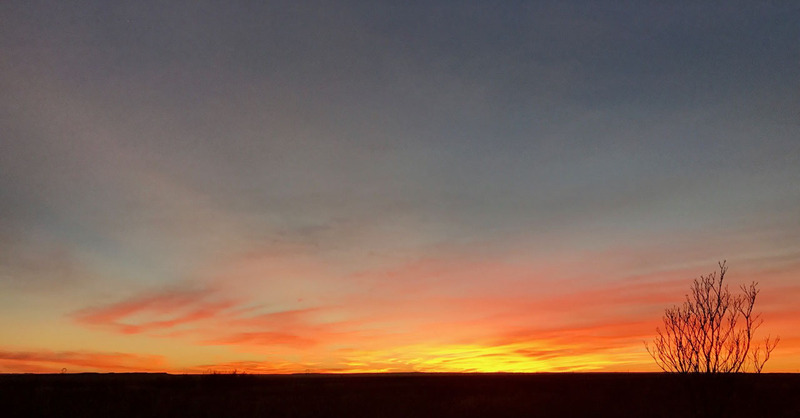 You will find SKP Co-Ops in Washington, Oregon, California (two parks), Nevada, Arizona (three parks), New Mexico, Texas and Florida. Several of these locations are ideal cool-weather destinations, while the parks in the central and northern Pacific states are perfect for escaping the worst of summer’s heat. The misconception I hear most frequently about the SKP Co-Ops is that you must be at least 55 years old to stay in them as a visitor. Not true! For legal and tax reasons, most (but not all) of the SKP Co-Ops do have a minimum age requirement to buy a membership. However, all of them welcome visitors of any age, including children. The only requirement to stay at an SKP Co-Op as a visitor is that you must be a current Escapees member. 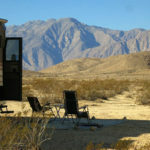 Each co-op sets its own policies about visiting RVers. Some accept reservations, but many do not. A few have limits (although they’re fairly generous) on how long you can stay at one time or in one calendar year. Most will let you stay on a member-owned lot, but a few have designated spots for guests. Before you visit, it’s a good idea to review the park’s website and then call the park to be sure you understand their particular policies. One of the first things you’ll notice when you visit an SKP Co-Op is the outstanding quality of the park. 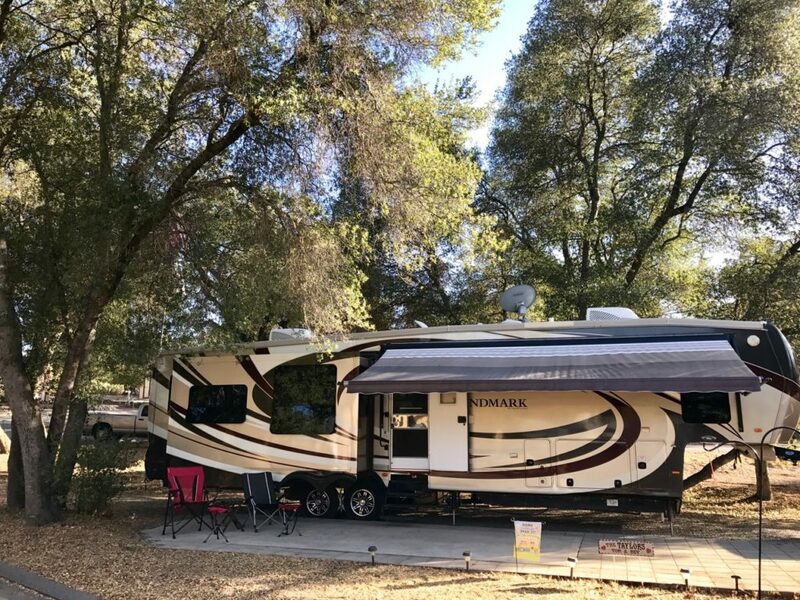 At most parks, you’ll find wide interior roads for big rigs, and spacious sites with plenty of room for your RV and your tow vehicle or toad plus extra outdoor living space. You can expect the park to be spotless, well-maintained and nicely landscaped, reflecting the pride that the members take in their home. And at many parks, you’ll discover extra amenities that are difficult to find anywhere else—like the infinity-edge swimming pool at Jojoba Hills in California, or the wood and metal workshops (available to guests) at SKP Saguaro in Arizona, or the mature trees and decks with stunning views at Park Sierra in California. The SKP Co-Ops are also a stunning value. Where else can you find this level of quality and full hookup sites for just $20 to $35 per night? Most parks also offer weekly and monthly discounts. Even better, many of the SKP Co-Ops have special incredible offers for first-time visitors, such as a flat $50 for your first week! Again, check the park’s website for specifics. Each SKP Co-Op has its own personality that reflects the local geography and culture. But one thing that all the co-ops have in common is that as a guest there, you will be among friends. Everyone there is an Escapee, so there is an instant sense of belonging to a family. Guests are always invited to join in the park’s many and diverse activities. 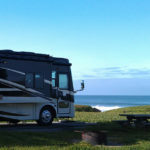 And if you’re new to the RV lifestyle, you’d have a hard time finding a group of more experienced travelers who would happily share their expertise and favorite destinations with you. If you fall in love with a particular SKP Co-Op Park, you might eventually decide you want to become a member and use that park as your “home base”. Each park has its own bylaws and procedures for membership. But in general, you make a one-time payment, or “buy-in”, for your lot lease. That payment may range from $8,000 to about $30,000, depending on the park. If there are improvements on the lot, like a deck, storage shed or casita, their cost will usually be added to your buy-in. However, whenever you decide to leave the park, you will get all of that money back! Some parks even permit you to also get back the cost of any capital improvements you made to your lot while you lease it. In addition to the refundable buy-in payment, all co-op park members pay a modest annual fee—generally $1,000 to $3,000 per year—to cover property taxes, insurance, and ongoing maintenance and operation of the park. Many of the parks will reduce a portion of your annual fees if you place your lot in the rental pool when you’re not occupying it. Once you’re a member of an SKP Co-Op, you can stay on your lot anytime you want and for as long as you want. All you pay is the cost of your electricity usage. Be aware that most of the parks have a multi-year waiting list for new memberships. 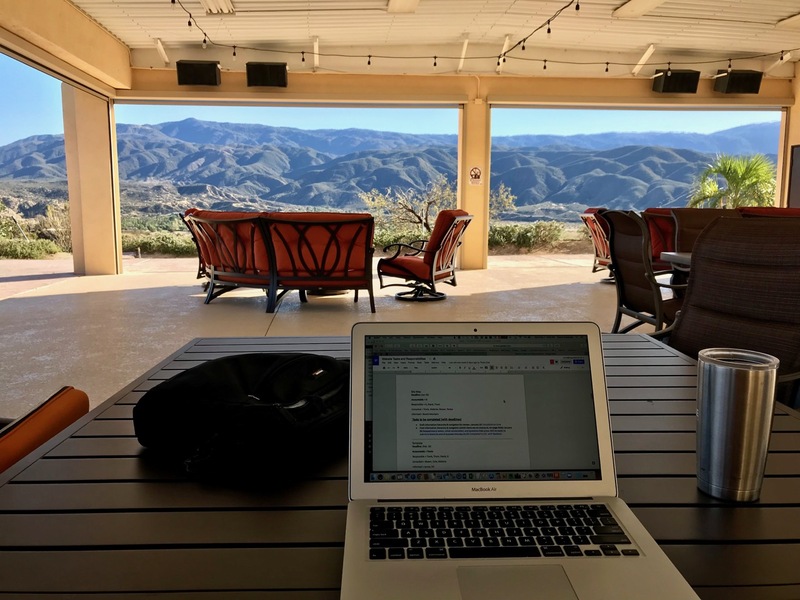 For this reason, many RVers (my wife and I included) decide to join the waiting list long before they think they might be ready to buy a membership. All it takes is a small refundable deposit (usually $500 or $1,000). Make sure you understand how your selected park handles their wait list. Some offer newly available lots to the top name on the list, and you get a limited number of “passes” before your name is returned to the bottom of the list. Others have a more complex “seniority bidding” process that allows you to buy a membership only when you’re ready, even if that’s many years later. 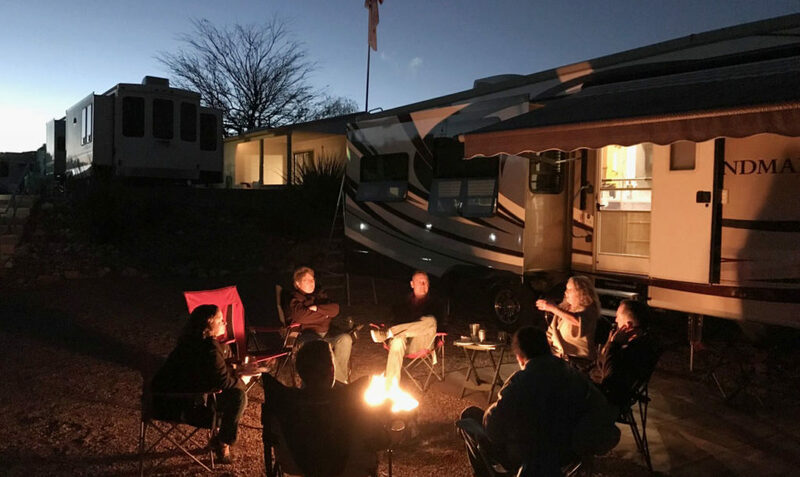 Whether you visit the various SKP Co-Op Parks as a guest or establish a home base at one by buying in as a member, you will be enjoying one of the unique and most valuable benefits of your Escapees membership—and you’ll be surrounded by other RVers who share your lifestyle and outlook. A former technology entrepreneur and executive, David Goldstein left corporate life two and a half years ago to become a full-time RVer. He now serves as Director of Technology & Marketing Strategy for the Escapees RV Club. 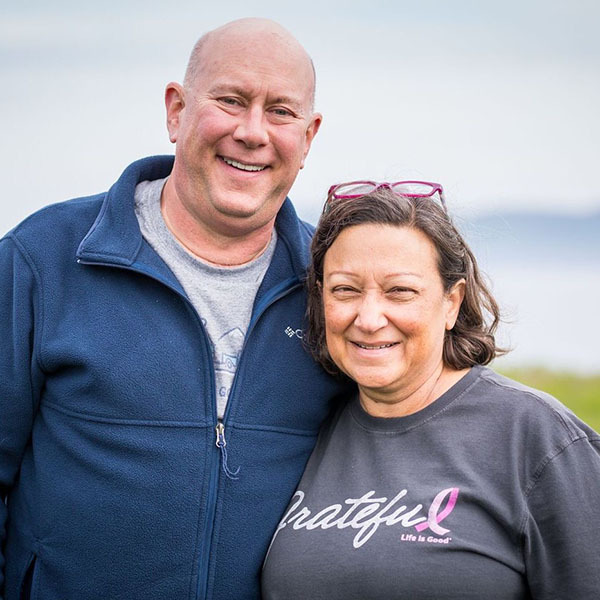 David and his wife Cheryl have explored Alaska, the west coast, the desert southwest and the upper Midwest—so far—in their 40’ fifth wheel. They have stayed as guests at six of the SKP Co-Op Parks, and are on the membership waiting list at SKP Saguaro Co-Op in Benson, Arizona. You can follow their travels at LandmarkAdventures.net. Love SKP parks! I wish Escapees would encourage creation of more parks, the long waiting list shows there’s a great demand and shortage of clean, large RV parks out there. It would be awesome if Escapees invested in more land for future SKP parks. We love the SKP parks, too! Escapees has been considering ways to improve parking options for RVers. We agree that more parks, and larger ones, would be great! I agree, we need more co-op parks, espically in the east. Does anyone know why Escapees stopped developing new co-op parks? Is anyone working on developing new co-op Park? At this time, Escapees is not participating in the creation of new co-op parks. For a smidge of history- Escapees didn’t create the existing co-ops, either. Each of the SKP co-ops currently operating was actually founded by members who put their time and labor into building the park. Escapees offered some financial support through parts of that process, but we do not own or operate the co-op parks. Hello, we are planning to travel in America and Canada for 6 months, beginning in may 2019. Do we have a chance of obtaining a membership or is the waitinglist to long? There is no waiting list to join Escapees as a member. Just click “Join” near the top right corner of this page, and you can sign up online. You do need to be an Escapees member to stay at any of the 11 SKP co-op parks, but there is no waiting list to stay as a guest at one of those parks. The only wait is to PURCHASE a lifetime lease at one of the parks, which you wouldn’t do for a six-month visit. Enjoy your travels around the beautiful North American continent! We are new Escapees and Xscapers. We are a full time family of three with a twelve year old. We love the SKP coops we’ve stayed at so far. Unfortunately we have at least 20 years before we can buy in at our favorite parks, and can only stay 30 days per year at the coop in our own state. It would be nice if more SKP coops were family friendly, but it seems they’re going the other way with our favorite (Wachula SKP) just going 55+. Hi JM. We’re glad you like the co-op parks. You’re right, though, that most of the current parks either have a 55+ age requirement to buy in (this is often because of state tax laws) and/or don’t allow children except as visitors. However, there is good news on the horizon! At the very end of last year, the club announced plans to create a campground/home base park specifically for the Xscapers demographic. Our aim will be to provide working-age RVers a place to connect and become a part of a like-minded community of working nomads. As you might imagine, this will be a multi-year project with many logistical details still to work out, but the wheels are already in motion. Watch the Xscapers blog and Escapees magazine over the coming months for more news on this exciting development!